For utility distribution operations center (DOC) personnel, a new type of intelligence called situational intelligence (SI) is emerging. The industry definition continues to evolve, but in general terms, SI can be defined as getting the right information to the right person at the right time, to support situationally intelligent decisions and actions. Big data and analytics software cannot give intelligence to an individual DOC operator. Too much information without the supporting expertise and process knowledge could lead to less effective decisions in the height of a storm. 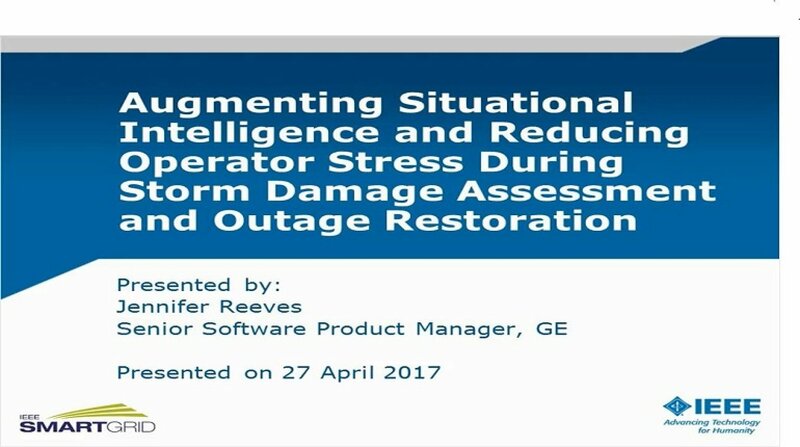 This webinar - presented by Jennifer Reeves of GE's Grid Solutions - explores the eco-system of human behaviors, traits and supporting technological advances in the software user experience (UX) that will help utility companies foster a heightened level of situational intelligence in their DOC, resulting in better quality decision making and action taking at the height of a crisis.